When I heard that Orion was ‘touring’ the UK to meet bloggers, booksellers, journalists, among others, I wasn’t quite sure what to expect (other than some talk about books, obviously). It’s still relatively new for teams from bigger publishers to venture outside of London, apart from book tours for specific authors. Often, the reading community goes to them in the capital, and for various reasons, it’s not viable for many, including myself, to attend these events. So this opportunity to meet with editors, marketers, publicists, and authors from Orion in my own city was incredibly exciting. Our location was a beautiful upstairs room in the Cosy Club. We were welcomed with drinks, and encouraged to chat amongst ourselves for a few minutes which, for me, set the warm, relaxed tone for the evening. We were invited to approach the tables laid out along the walls that were laden with books, associated merchandise, Orion fiction samplers, and sweets! Some delicious food was brought out later in the evening as well. The selection of books they had brought along from their various imprints was great and varied. From thrillers, romances, fantasy to memoirs and collections of regional writing, it did feel as though the team had made great efforts to both cater to lots of reading tastes, and entice us to pick up something new. It won’t surprise anyone to know that we eagerly partook in these offerings. Sam Eades then gave a lovely speech, thanking everyone for attending and explaining the reasoning behind the setting up of ‘Orion on Tour’. It showed that the team at Orion understand how important it is to open up the publishing industry to the UK as a whole, extending beyond the London bubble. This isn’t just through evening social events: Sam had given a talk that day about working in publishing to pupils at her former school. What with so much of book publishing taking place in London, the vast popularity of this career, and the sense that having ‘connections’ in the industry helps get you that first foot through the door, it would still feel like an impossible dream to many at my former school. Orion’s endeavour to break down barriers like that across the UK really is fantastic because bringing these fresh, original voices to the industry – as editors, sales representatives, authors etc – is vital for its future. After that, conversations started to flow again. What I loved was that everyone from Orion made sure to speak to as many people as possible, rather than just group together in one place. I had a really great discussion about how curiously isolated Birmingham feels in spite of being the second largest city in the UK, full of vibrant, creative people. It certainly feels like an area that people pass through rather than visit for anything other than The Bullring shopping centre. Birmingham feels very isolated from big creative industries and events. In terms of publishing, there are only a couple of very small independent publishers and one independent book shop. The popularity of this event – with some bloggers travelling from more distant parts of the Midlands – shows that there is a dedicated reading audience who want to connect with the industry. We talked through how that might change, especially what large-scale publishers could do to support readers and creators. Meeting fellow bloggers was also incredible. I’d met a few before, but some I still only knew from online conversation, so it was great to chat properly face-to-face. The blogging community is so supportive and dedicated to each other’s work, as well as to the authors, and it’s lovely to put more faces to blogs and twitter handles. Talking to authors about their work and their journey to publication was eye-opening. There are so many aspects that readers don’t see, like the years of writing, self-editing, and the confidence that’s needed in your own work to send it out to agents and publishers. Having such conversations in a relaxed, informal setting rather than a traditional Q&A was wonderful because we had the time to talk to and understand each other properly. I got some great advice on my career aspirations, how to complete applications, and get involved in networking events. It was amazing to hear other people’s experience of working in publishing, to see how things are changing and what I can still do to achieve my dream. And as if that wasn’t enough, I got some fantastic recommendations for future reading! 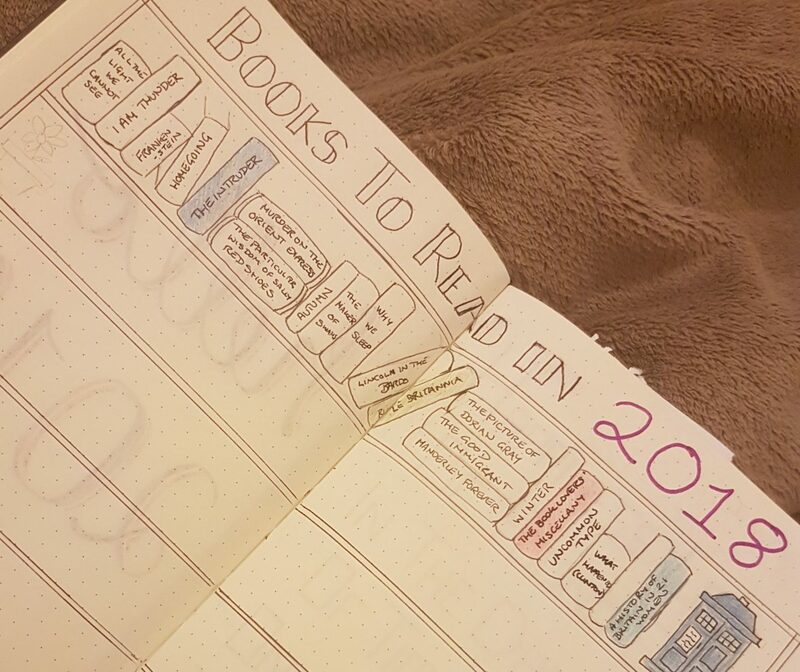 I can’t wait to get started on all the books I picked up that night, and all those I added to my TBR. We were asked to give suggestions about how else the publishing industry might reach out to new readers and regional communities, and I honestly feel like that feedback will be listened to and worked with by Team Orion. While the books on offer were gratefully and eagerly snapped up, this didn’t have the atmosphere of a generic publicity event. Instead, it seemed like an opportunity to cement the connections between the publisher, authors, and reading community, so that the publishing industry can be more inclusive in meaningful ways. Thanks so much to everyone who organised it for inviting us, offering such wonderful books, and opening up some great conversations. Here’s to many more events like this, both in Birmingham and across the UK.